Today Domino is modelling her new cocktail dress. 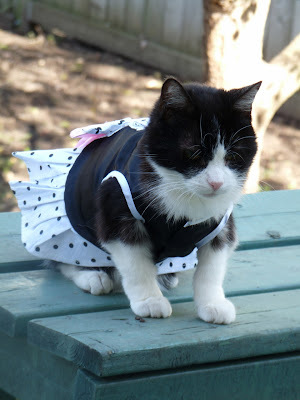 She had ordered it to wear to Milo's birthday party, but it didn't arrive until afterwards. So, for now, it's purely for show. And show it off she does! Here she is in a pretty black and white number designed specifically to complement her colouring. It's also very comfortable to wear. Just PURRfect for that ladycat on the go! 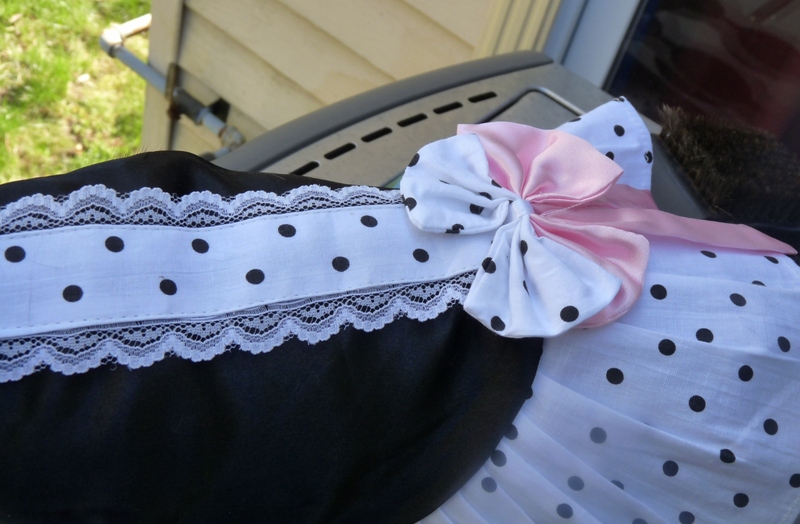 The bodice is black satin with a white and black polka-dot detail trimmed with lace, culminating in a combination pink and-polka-dot bow. The white-and-black polka-dot skirt is quite crisply pleated. 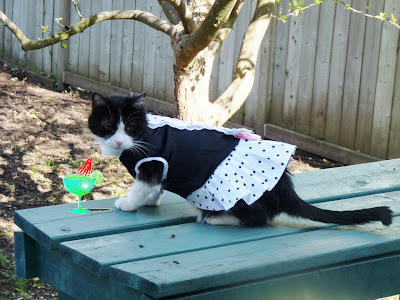 ... formal enough for a cocktail party! 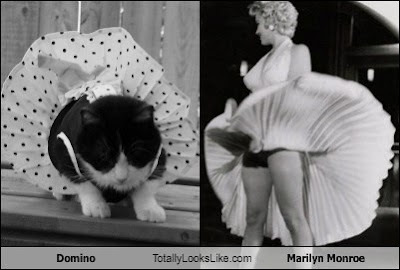 ... Domino has her first "Marilyn Monroe" moment. You can't get any more classic than that! ... and takes right up where she left off. When it comes to modelling, Domino is a real pro! ... Domino gets her second wind! Now she, like Marilyn, is an icon for the ages -- captured for all time in black and white. Doesn't this just blow your mind? 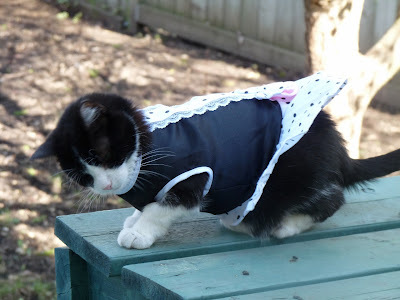 Wow you look gorgeous in that dress. 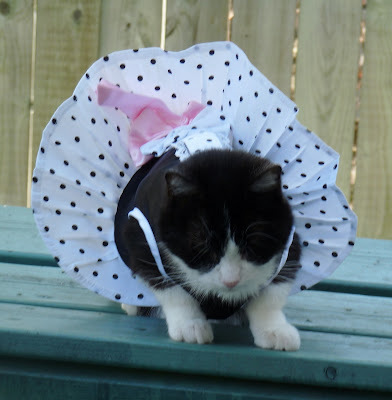 What a trend setter Domino is. 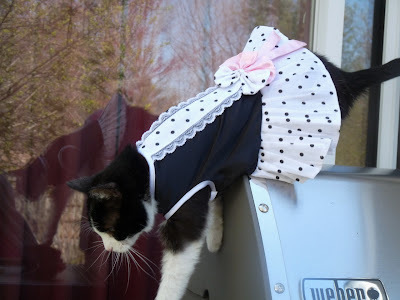 Very pretty dress...too bad Milo missed it!!! Happy May Day from all of us! 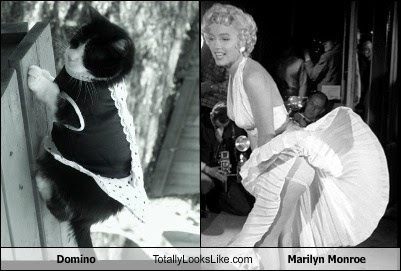 Domino does a great MM... And she looks stunning in that dress! 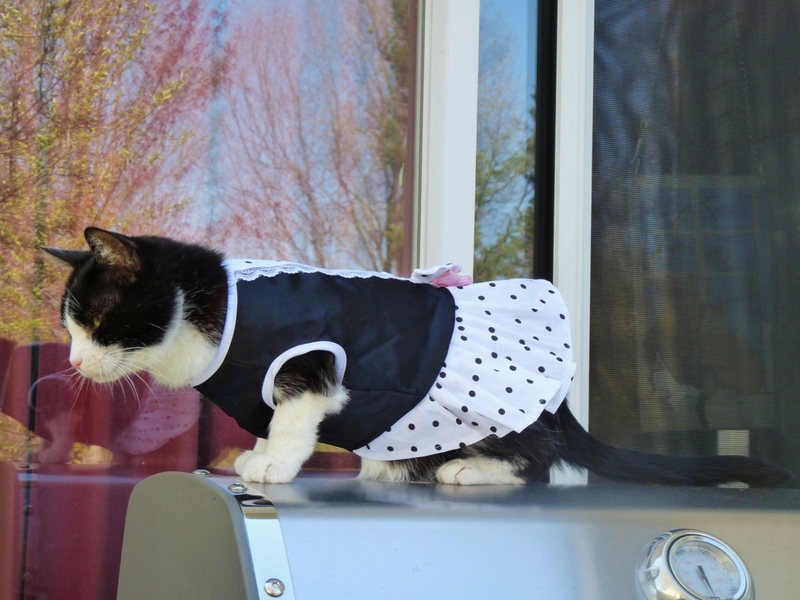 You are pretty and fancy sweet Domino! Oh, Domino! We think yer just gorjus in your new dress! That is quite a dress, Domino! 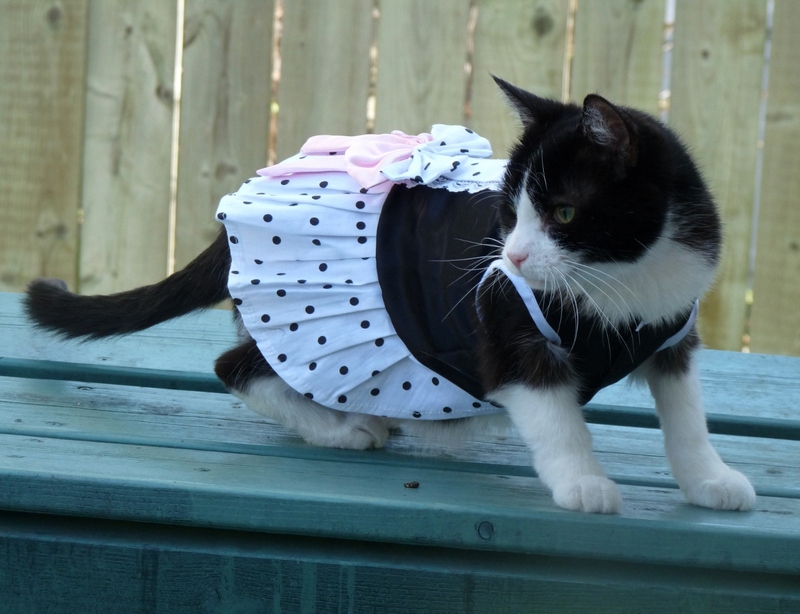 That is the purrfect dress for you, Domino! Loved your catwalk in in. Domino, that is one great job of modeling. And that is a really pretty dress. Good job. TwoTwo is reviewing this post. Take care. Me is sorry me is late in blogging, me has been incarcerated! And me missed writing until Spitty lets us out! 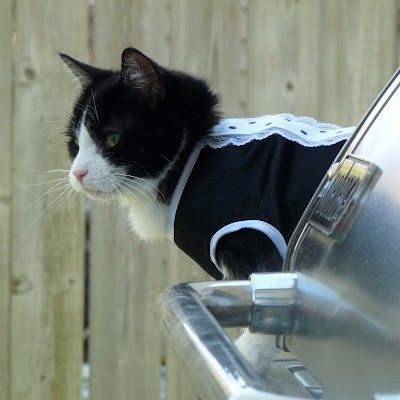 WORDLESS WEDNESDAY WITH DOMINO: HEY BUD! 3-D WORDLESS WEDNESDAY: WHO GOES THERE? TUXY TUESDAY WITH DOMINO: ONE, TWO ... TREE! MANCAT MONDAY WITH DYLAN AND DANTE: ON VACATION!